Argentine tango dancers and expert workshop teachers Miriam Gita and Stephen Vince 289150741891605 Learn Argentine tango with the best workshops and Intensive beginners courses in Norwich, Norfolk and Cambridge. Expert dancers Miriam Gita and Stephen Vince offer you the very best Argentine tango teaching. Expert teachers Miriam Gita and Stephen Vince offer you the very the best Argentine tango teaching. Together they lead their classes with vigour, a friendly humour, an obvious love for the dance. They pass all their enthusiasm over to you and into your dance. Miriam Gita is a classically trained professional dancer with more than twenty years of experience as a dance instructor. She has an in-depth understanding of body ergonomics and posture and has great skill in making it possible for people of all ages and shapes to really dance. ​Stephen is a true expert in Argentine tango and has undergone training with many of the world's leading tango dancers and teachers. Gavito the essence, Rivarola for style and Alex for the music itself. Since 2001 Stephen has hosted many high profile international tango festivals and weekends with visiting maestros. As host to these great maestros he has gleaned much to fascinate - ​a glimpse into the very soul of tango. 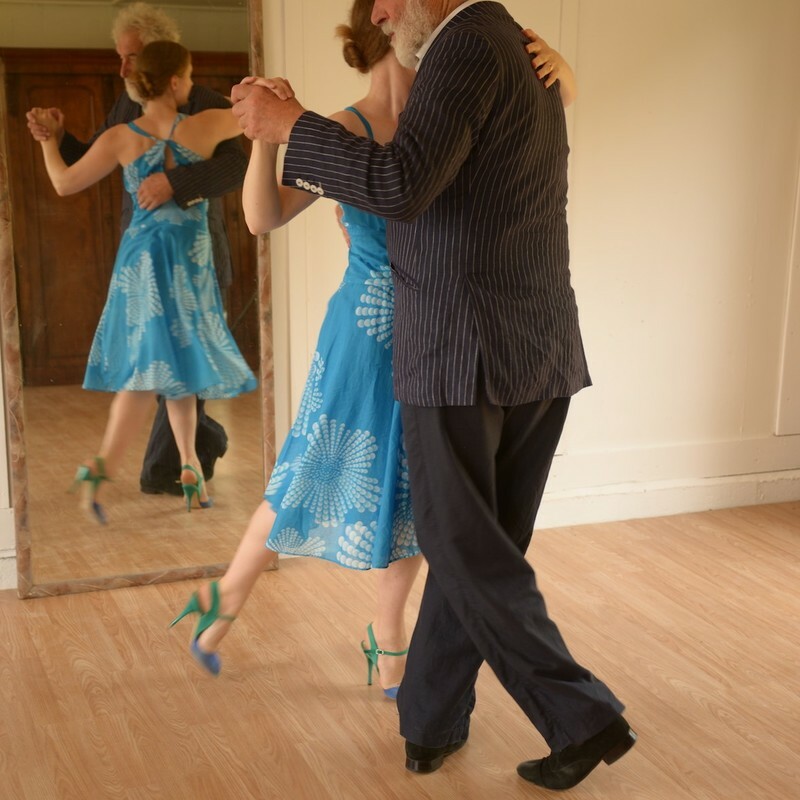 Miriam Gita and Stephen Vince specialise in Argentine tango improvisation and are doing something rarely seen within their own tango as you may notice in these various videos of them improvising to fresh tangos during their workshops. They only move when and how the music tells them. Their own personal and spontaneous musicality in the moment is always the most important aspect of their dance. To them each tango song is different to all other tango songs and as Miriam often points out, each song is different each time you hear it. Why? The location has changed, it is a different day or moment, the mood is different etc. That's why Miriam and Stephen always improvise every dance and convey their interpretation to each other spontaneously through their deep connection in the milonguero apilado embrace.